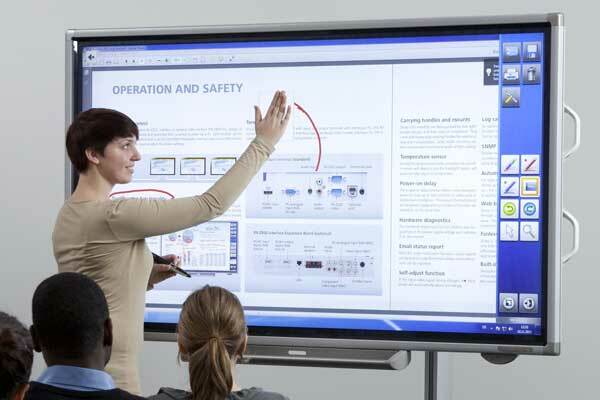 Enable collaboration and active learning with our range of interactive whiteboard and Interactive solutions. 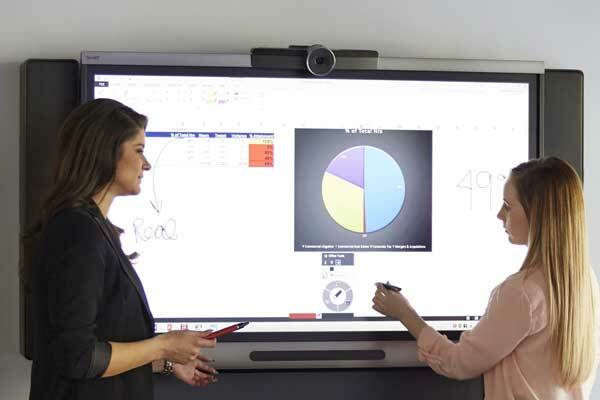 Enable collaboration and active learning with our range of interactive whiteboard and SMART Board solutions. 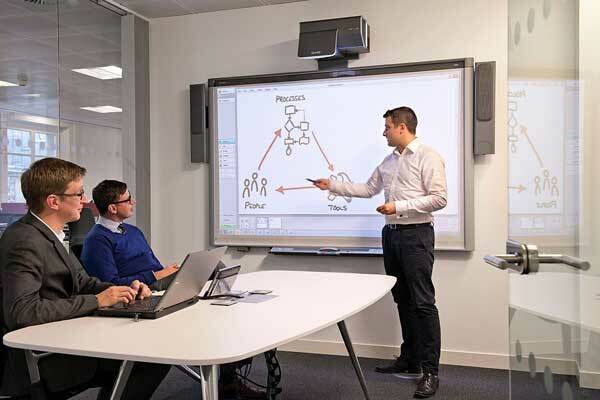 We work with you to identify the best interactive whiteboard & display solutions for your learning and collaboration spaces, to optimise value and deliver genuine improvements in outcomes. We know from experience that when it comes to your classroom or meeting room display, there’s no “one size fits all” solution. So we work with you to develop an understanding of your organization and how you can leverage interactive whiteboard and touch display technology. That means you get the solution that’s the best fit for your needs – improving both engagement and outcomes for groups of all ages and types. Active interaction has never been easier. Use familiar touch gestures to navigate and interact with digital content. Digital inking lets you whiteboard and write into apps like SMART Notebook and MS Office. It’s as simple as using a whiteboard marker. Easily save & PDF whiteboard sessions and annotations on your computer or device. Continue sessions on any display or device. Share content in real time or via email with a few simple touches. Integrate seamlessly with any UC collaboration platform. Active learning and collaboration for classes of all ages and sizes. Our range of interactive whiteboard & SMART Board displays for education help teachers improve engagement, encourage active participation and cut down on lesson preparation time. We partner with schools, TAFE’s and universities to deploy fully supported solutions with training, software, and leasing options. Our interactive whiteboards for education allow you to add basic interactivity and a large display image to the classroom. With premium quality brands, combined with the latest ultra-short throw projectors, interactive lessons are now brighter and sharper than ever before. 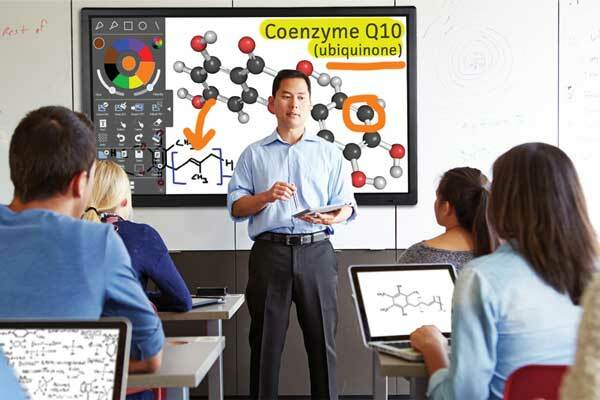 SMART Board interactive flat panel displays are our most popular solution for collaboration in the classroom. Combining the ease of an interactive whiteboard with the reliability of flat panel technology, find out why more schools choose SMART for their learning spaces. If you need a simple interactive solution, but you don’t want to give up your dry erase whiteboard, our interactive projectors for education may be the right fit for your classroom. You can even project directly onto a wall and use finger touch and interactive pens to deliver digital lesson content. Our range of basic interactive education displays offers teachers and students the chance to experience interactivity and improved engagement in the classroom at an affordable price. 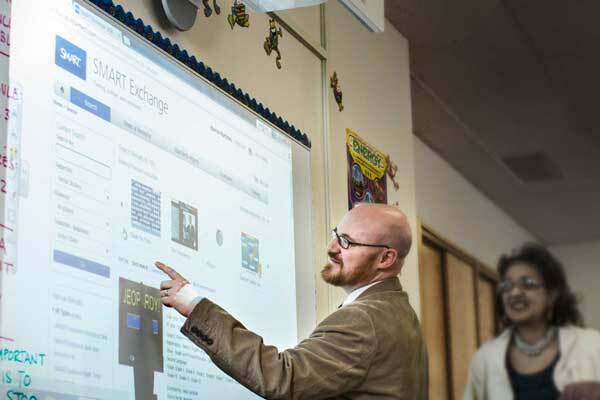 Use multitouch gestures to interact with lesson content and demonstrate concepts in real time. The below chart gives you a quick overview of how different interactive display technology compares. To ensure success though, please call us to speak to one of our learning & collaboration consultants – they’ll work through with you step by step to select the right solution for your organization. Kickstart collaboration for teams of all sizes. Our range of interactive whiteboards & displays deliver the collaboration tools you need for meeting and conference spaces. We deploy complete turnkey solutions that combine walk up and use simplicity with deep integrations with the apps and UC platforms you already use. Our interactive whiteboards allow you to add basic interactivity and a large display image to a meeting space. With premium quality brands, combined with the latest ultra-short throw projectors, interactive meetings are now brighter and sharper than ever before. Draw into documents and swipe through presentations with ease. 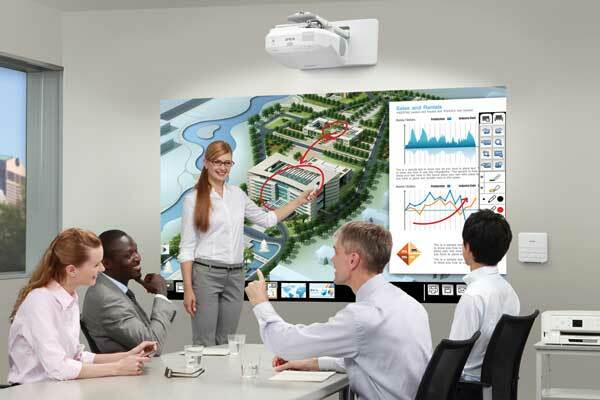 SMART Board interactive flat panel displays are our most popular solution for collaboration in business and government. On-board collaboration tools make meetings run faster, smoother and natural interaction ensures adoption. Integrate seamlessly with Skype for Business or any other unified communications platform. We take a holistic approach to building connected learning & collaboration environments, so speak to us about a complete interactive technology solution built on best practices.